Eva Maydell (née Paunova) is a Member of the European Parliament. 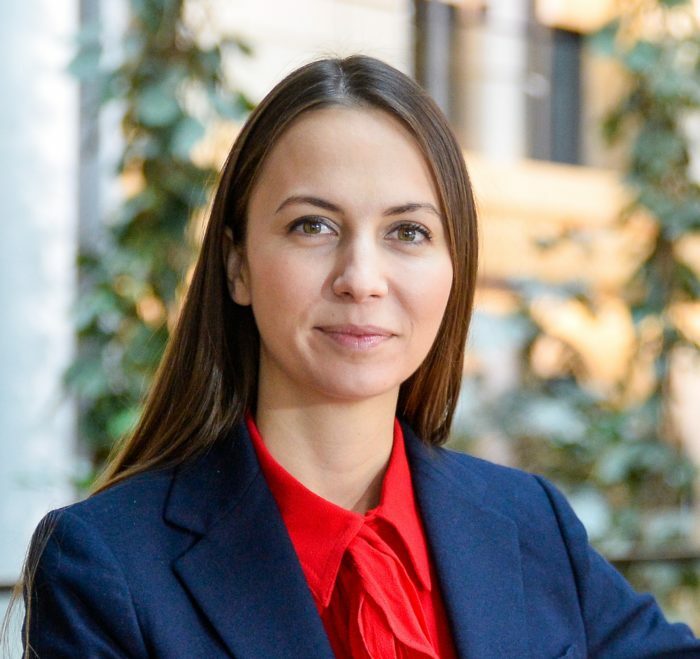 She is President of the largest organisation of associations and civil societies in Europe – European Movement International, ambassador of the European Commission´s E-skills for jobs initiative and initiator and co-founder of Education Bulgaria 2030. Maydell´s priorities focus on enhancing skills-creation and the use of innovation and technologies, supporting entrepreneurs and investments in Europe. In the European Parliament, she is a member of the Internal Market and Consumer Protection Committee and the key Economic and Monetary Affairs Committee. Eva Maydell is currently working on several legislative files, part of the Digital Single Market Strategy – the e-Privacy Regulation, the Directive for the supply of digital content, the Regulation on portability, Digitising European industry and the European cloud initiative. She was also rapporteur for the EPP Group on the implementation of the European Fund for Strategic Investments, the New Skills Agenda and the Influence of technology on the future of the financial sector (FinTech). Amongst others, Eva´s work has been recognised by the Financial Times, which included her in the “New Europe 100”, the ranking of CEE´s brightest and best people that are changing the status quo through their ideas and innovative solutions. She is also part of the European Forbes 30 under 30 list, featuring the change agents in 20 different sectors. Politico defined her as one of “the most eye-catching 28 people from 28 countries who are shaping, shaking and stirring Europe”. She was awarded the MEP of the Year Award twice.